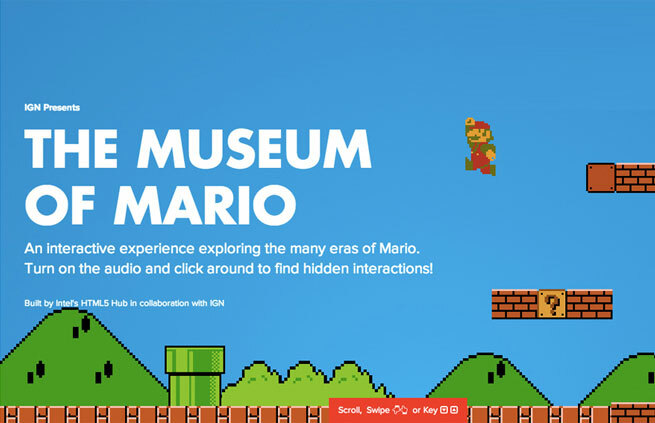 Museum of Mario, created by Kyle Simpson & HTML5Hub, presented by IGN! WebGL, CSS3, HTML5, while being responsive. Find all the easter eggs!